So proud of our Residents! 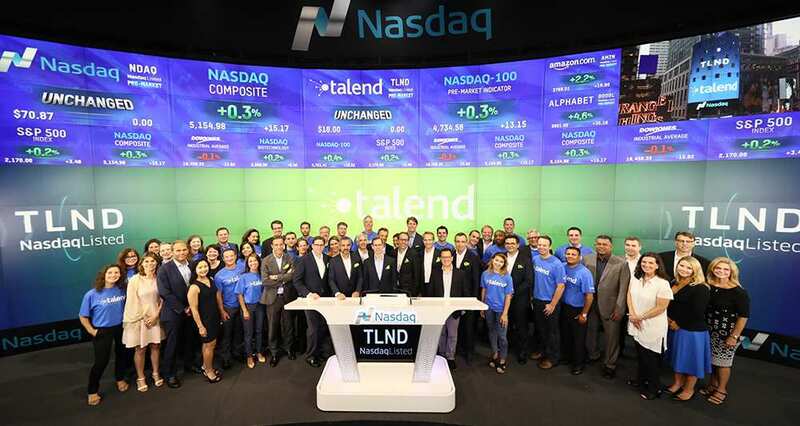 French big data startup Talend - founded in 2005 by Bertrand Diard and Fabrice Bonan - made its brilliant debut as a public company on Nasdaq last July. Hear what Bertrand Diard, Co-founder of Talend presently working on his new venture Influans from the Partech Shaker, has to say about it. What has the IPO brought to Talend at this point ? There was a gap in the market. Ten years ago, Talend started to build a new solution and got tremendous traction because the vision was relevant, the market was huge, and the company was very well positioned. The success of the IPO confirms and validates the company’s trajectory and proves that Talend is now a large, global & scalable company, aimed to last. An IPO can be seen as the last step but I’d rather describe it as a new beginning. This is the step which validates your vision & market potential under public scrutiny. Raising money from the public markets through a successful IPO primarily changes the perception from prospects & clients. It assesses that the company has a real potential to become the leader on its market. Would you have any advice to share with French Entrepreneurs ? I’m not fond of the word advice but since you asked, here are a few things that I can share. First, every entrepreneur needs to accept as quickly as possible that mistakes will be made. The most important thing is to detect and correct these mistakes as quickly as possible. Second, as an entrepreneur in tech, you need to think global, from the start. The French market is too small to truly succeed. And looking at the topic of the IPO in particular, I believe one of the key factors of success is to prepare your organization, at every level, as it is a real organizational change for the whole company. An IPO requires hard work but this is not something that’s out of reach. Can you tell us more about Influans, and its links with Talend ? Influans is about revolutionizing customer marketing. Today the performance of Martech is terribly poor in terms of conversion and at the same time it damages the brand image, the customer relationship being perceived by customers as inefficient and mismanaged. The link with Talend? Of course there is the fact that the founders come from Talend with business, marketing, product and technical expertise. But more critically, it is that we believe that tech will enable this transformation in marketing. Thanks to big data and machine learning, Influans enables brands and marketers to direct the right product or service to the right person, at the right moment, through the right channel and with the proper incentive. We offer a transition from mass marketing to 1-on-1 marketing through a user-friendly, easy-to-use platform so that any marketer can dramatically change their performance in digital marketing. The team at Talend designed and contributed to many layers of the big data architecture, I believe that there is no better team to design such a tool based on big data and algorithms. Where are you now with Influans then ? Influans is presently in private beta, being validated by several tier-one brands, in the US and in France. We are validating the quantitative aspect of the product, its ability to accurately manage huge volumes of data. A broader beta version will be available in a few of weeks. Keep an eye out for it if you want to try it too! Thanks Bertrand, we definitely will!